Interviews are quite possibly the most terrifying aspect of finding a new job, but they dont have to be. With the right preparation, state of mind, and even clothing choices, you can head into a job interview with confidence and everything you need to succeed and land the job. Did you know there are certain questions you should ask at an interview? These questions can tell an employer more about you than the questions they ask, so knowing them is essential to interview success. Furthermore, did you know that there is a specific way of dressing for an interview and that it depends on the type of job you are applying for? Knowing the answers to these questions and more will help you have the best chance of landing the job. 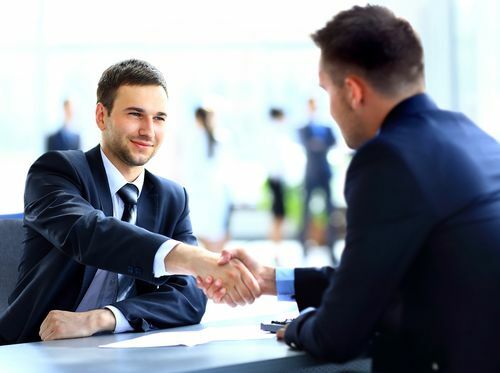 The following articles have been written to help you know everything there is to know about the interview process, including what questions will be asked of you, what to wear and some of the top interview questions by specific industry. Follow these simple steps to maximize your chance of landing the job. Get prepared for your big interview by reviewing these common interview questions. Make sure you stand out from the crowd with a little help from our interview experts. Learn the dos – and don’ts – for leaving your interview as the leading candidate for the job. In the hospitality industry? The following interview tricks will help you get the job. Navigate to Interviews on the right-hand side of the page for our full listing of Interview Articles and additional career resources. Tough Job Interview Questions: Tell Me About Yourself? Tough Job Interview Questions: What’s Your Biggest Failure?